We don’t live forever – do your trip of a lifetime this year! For most of us the winter really starts as salt coats the frozen pavement of the frigid New England roads. Our bikes sit lonely and under-heated in garages throughout the region. 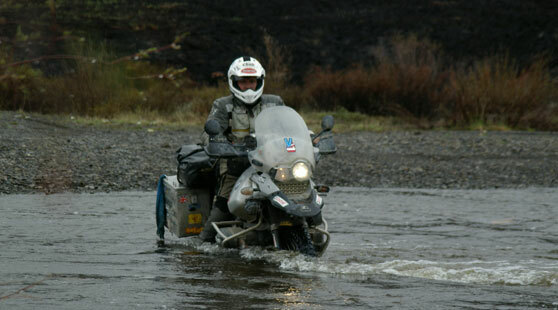 The hobby of motorcycling is lived vicariously though websites, videos, personal photos and the occasional documentary. My week was monopolized by air travel. The destination was Sydney Australia – a 21 hour flight from Boston including a stopover in LA. 21 hours gives a lot of time to catch up on reading and revisit long-lost motorcycle documentaries. 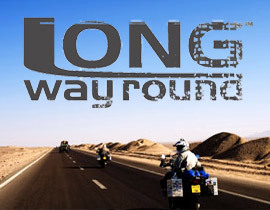 My choice of videos was The Long Way Round (available on iTunes) – a nine hour documentary memorializing Ewan McGregor (Obi-Wan Kanobi in Star Wars Episode 1 through 3) and his friend Charlie Boorman’s adventure riding from London to New York City in 2004. 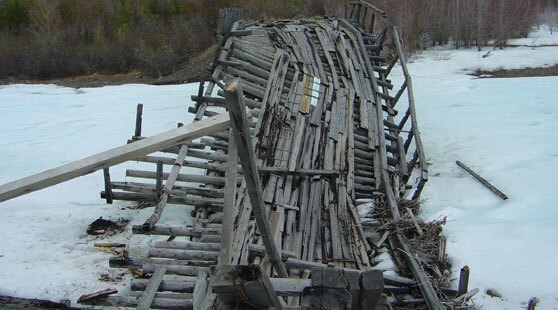 This journey took six months to plan and another four months to complete. Most of us pride ourselves on being somewhat hardened riders but Ewan and Charlie covered 20,000 of the hardest miles I have ever witnessed. The route took the riders through Kazakhstan, to the most grueling parts of Russia, into Mongolia and across the Road of Bones that sadly acts as a burial ground for some of the 20 Million people who died in Stalin’s work camps. The roads these guys endured (and the word road is used loosely here) were rarely paved and more often than not included sand, gravel and potholes with 35 degree waist-high water lined with wildlife looking for their next meal. 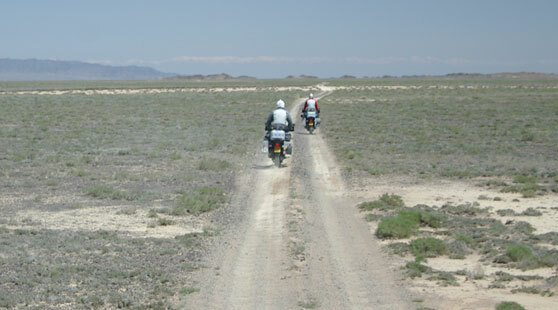 There were times that the riders were close to despair but without exception, the other rider would “pick up” his compadre to keep him focused on the journey. 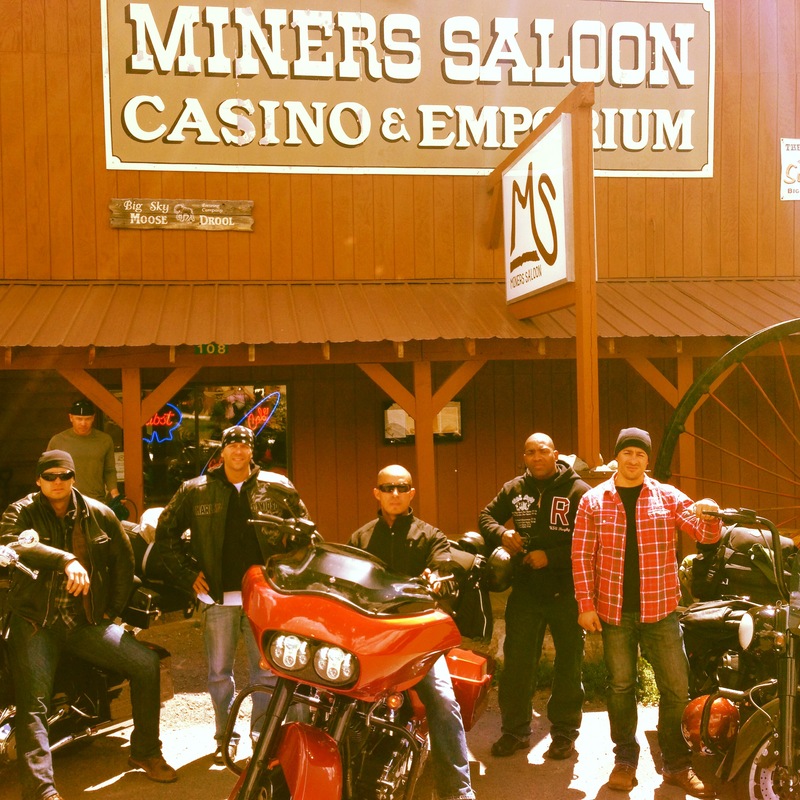 In 2013 year the guys from Beantown Baggers set out on our own “Trip of a Lifetime” from Malibu to Sturgis and back (4300 miles). Though it was not 20,000 miles through Eastern Europe, it was an experience that all of us will take with us for the rest of our lives. It was six friends, all committed to making the trip a great memory. Everybody was in the same mindset, ride hard and live hard! True that we all had other time commitments. The financial costs were not trivial. The planning was exhausting. We encountered challenges throughout the journey but without exception we made it through everything the roads could throw our way. This is the time of the year when the hunger for another monumental trip starts to eat at my soul. The drive is so infectious, all-consuming and relentless. The maps will come out, the pencils sharpened and the plans laid down on paper. As with every year, I have other priorities and obligations. And as with every year I will drop everything for another trip that will, in some small way define who I am. When is your trip of a lifetime? Who will be part of your story? Which friends are willing to put their lives on hold to make this dream a reality? What are you waiting for? ← How many bikes is the perfect number? Me and the wife do a 2000 mile road trip every summer. This year it’s to Tennessee , one of our favorites was a trip along the Saint Lawrence seaway around the Gaspe peninsula, by way of Cooperstown, Lake Placid to Montreal, then out Gaspe and back via Bar Harbour. An epic trip we will never forget She was a trooper, I had the comfort of HD Ultra while she was on a Dyna. Rick, thanks for sharing this – if you email is a few photos we would be happy to share your story more broadly. Sounds like an amazing trip! Where do I email to?